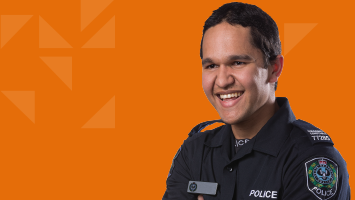 Whether you just left school or university, are making a career change or have held a life-long dream to join South Australia Police, there are many ways you can join our team. There are over 40 career options including police officer, protective security officer, community constable and administration support roles to choose from. If you are thinking of a career in law enforcement, South Australia Police runs a comprehensive recruitment process and training program designed to test all elements of your suitability and ensure that policing and/or public safety are the right career path for you. A career in law enforcement extends beyond policing, there are roles available within our courts and prisons, as well as support areas such as legal services, social work, community education and rehabilitative services. Please note that some positions may only be open to Australian citizens or permanent residents.